We find and develop projects that enhance communities by developing new standards of residential living. We build wealth by connecting equity raising with property investment, development and construction. We deliver excellence in all types of construction by building award winning projects. into one of NSW and Qld’s leading privately owned property development and construction groups. The Mavid Group has expertise across all areas of the property spectrum, from residential through to master planned communities, retail and commercial. Our core capabilities are reflected in our operating segments of Funding projects, Developing projects and Construction. The combination of these three segments provides us with a sustainable competitive advantage and allows us to provide innovative integrated solutions for our customers. At the core of our business is our family values which translates into how we do business. relationships with many other industry participants. A licensed builder, David has had an enviable career in property development and construction in NSW and Queensland. From his first project in Raymond Terrace, a small group of industrial sheds, David has overseen over $2.0bn of property developments across the full spectrum of residential, master planned communities, retail, industrial and commercial over his 40-year career. Today, David leads the direction of Mavid Development focusing on projects which transform communities and generate sustainable opportunities across the group including development and construction. Matt has many years’ experience in the building industry not only as a licensed builder but also an experienced carpenter. 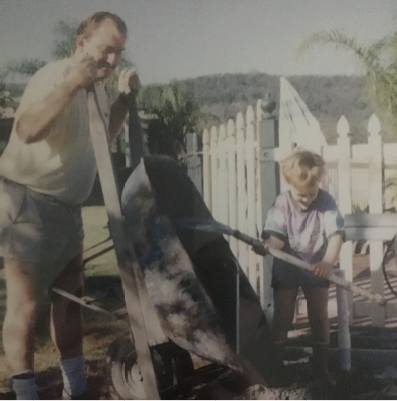 Having come through the ranks as an apprentice and completing his first project which was two houses in Maitland NSW within 3 months he then established Mavid Construction. Since then, Matt’s drive and ambition has seen Mavid Construction grow to be recognised in the HIA Housing 100 as one of Australia’s largest home builders, including the 13th largest semi detached dwelling builders in 2017/2018, an accolade he doesn’t take lightly particularly given the businesses inception in 2011. His success and thriving business can be attributed to his eagerness to excel and build highly sought after constructions. Matt’s focus on family values within his team has earnt him the respect of over 50 fulltime staff and over 800 subcontractors working on Mavid Construction projects. The Mavid Group of companies is committed to under taking projects that have a positive impact on the community. We strive for excellence in everything we do.